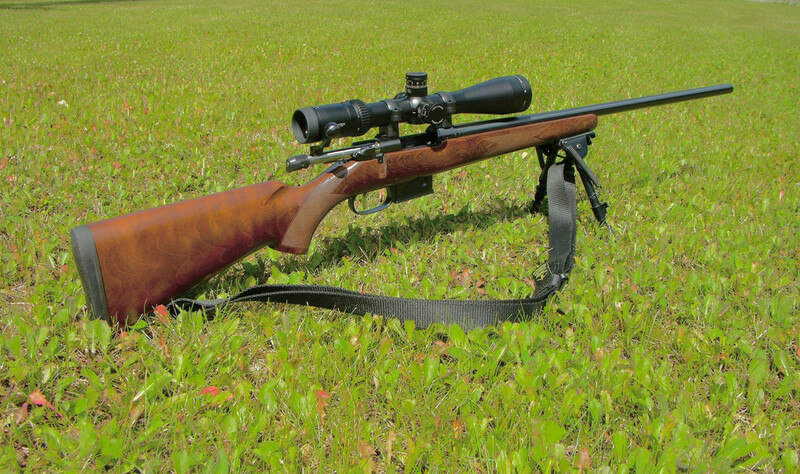 So here's my new CZ-527 Varmint in .223rem with a 1:9" heavy 25" barrel. I topped it off with a Vortex Viper HS 4-16x44 and a Harris bipod. 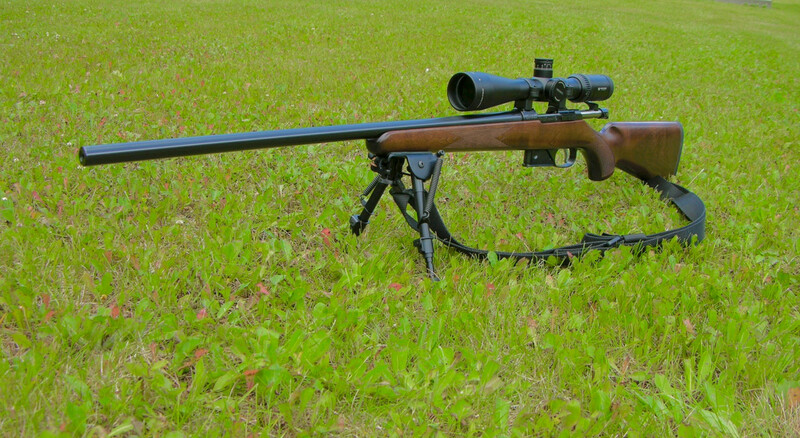 This will be my new 300 yard gopher, rabbit, and coyote gun. These rifles have not been without their own set of issues over the years. One of the first I heard about was that the barrels were not free floated. So after I received mine, this was one of the first things I checked. A piece of paper under the barrel and between the stock confirmed mine was indeed free floated. I'm glad CZ seems to have gotten their factory quality issues sorted out. The second thing was many complaints about the "stickiness" of the bolt when cycling the action. Mine was indeed like this, but it was also bone dry out of the box. A quick search on YouTube and I found a few videos showing how to solve the problem. Some fine grit rubbing compound and crocus cloth and some light massaging in three different areas for about 5 minutes seems to have helped. Then a very small amount of G96 lube, and the action now cycles buttery smooth. CZ also has a somewhat "proprietary" mount for rings. Finding a set proved more difficult than I expected. Also, earlier versions of this "mini-mauser" bolt handle proved tricky when mounting a scope. 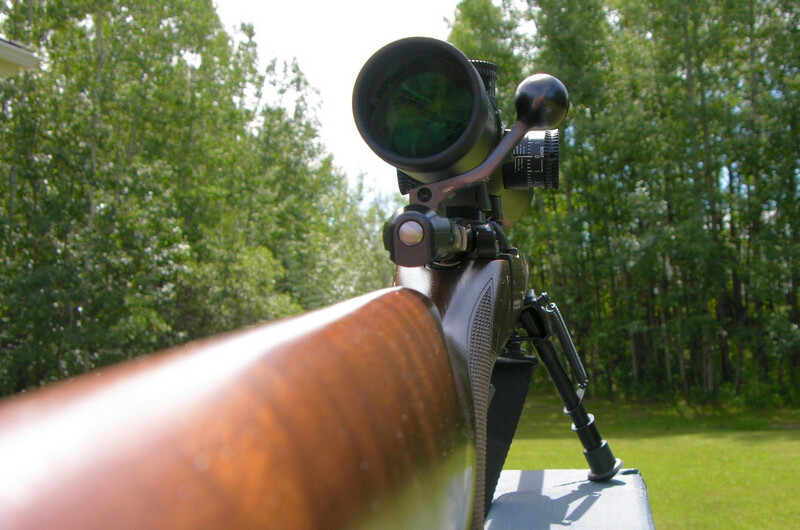 You had to have very high rings so the bolt knob would not conflict with your scope. Thankfully, CZ changed the bolt handle design and this problem is not as tricky now. But as you can see, I seemed to have gotten the "geometry" just about perfect. BTW, those are Leupold rings. And I also got the scope nice and low over the barrel. So, I've been out twice with the new stick. I tested 5 different charge weights. With 26.3gr being the best of the bunch at 2970fps velocity and 3/4moa at 102 yards. I decided on the second trip to try a last weight of 26.6gr to see if I could squeeze out any better accuracy. It actually was just a bit better. The speed was 3012fps and it is a consistent 1/2moa now (when I do my part). I found the lands with the Hornady OAL gauge. I decided to use a .010" jump and the accuracy of the rifle seems to agree, this is a good seating depth. Also this combination of bullet and seating depth works very well with magazine feeding. There's about .040" from the end of the bullet to the mag edge. Again, the "geometry" here is wonderful with room to spare. I really like this rifle. The smaller stock fits me beautifully. And the wood is pretty to boot. The quality feel, fit and finish is pretty much CZ....excellent. And if you've never tried CZ's "set trigger", you're in for a pleasant surprise. By moving the trigger blade forward after you have it cocked, it gives a very light and crisp break. There is really no creep either when you've got it forward in the lighter setting. I would estimate that the pull is less than a pound. Here's a picture of both trigger positions when cocked. Normal on the left and the set position on the right. The heavier contour barrel did heat up with quicker shooting. Although with the 5 round magazine, I could let it cool down between mag reloads. 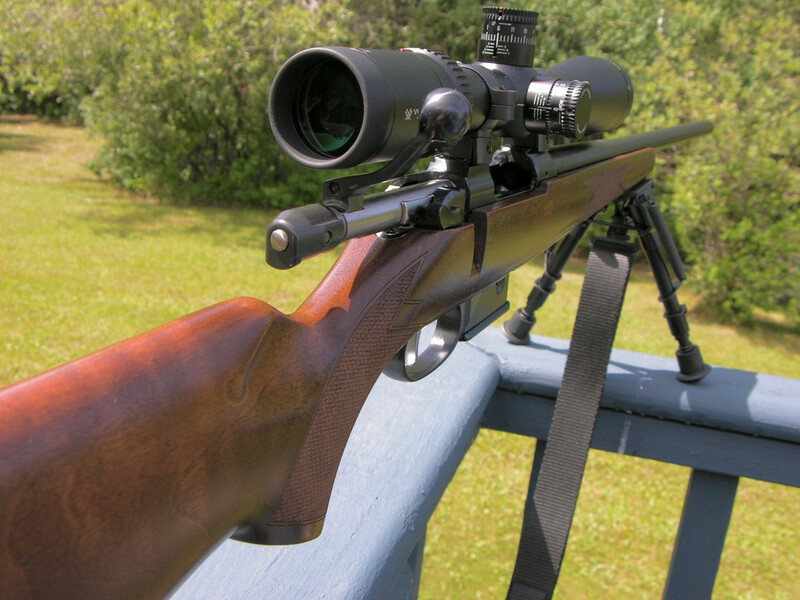 The "mini-Mauser" action is a well proven design and there were no feed or extraction issues. The Vortex scope is as advertised... not top notch, but decent enough to 300m (which is just what I am looking for in this set-up). Cleaning is a breeze. But the "latch" or "button" release to remove the bolt also needs to be pressed to get it back into the action. That's something I wasn't used to, and I had some pretty perplexing moments the first time I tried to put the bolt back. It also has a "European" style magazine release button. I takes a bit of getting used to since it is not at the rear of the mag, but on the right side. Some have complained about the look of the single stack magazine with this rifle. For me? ....meh. I don't mind one way or the other, just as long as there is a detachable mag to feed it with. Although the price of these mags are almost criminal. I've owned a CZ-527 before. It was the shorter carbine in 7.62x39. It was pretty similar in performance except for accuracy (the x39 round is not really known for its accuracy). I find that the 25" barrel on this rifle is the ideal trade off between "compactness" and versatility. This is going to make a pretty decent bush gun. 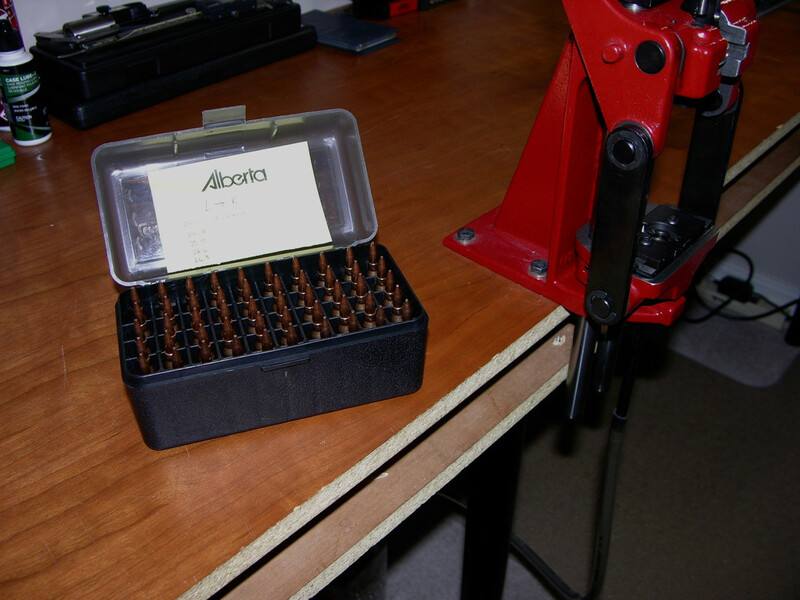 Recoil is really small being a .223, so follow-up shots are very easy to get on target. So all in all, I would rate this around an 8.5 out of 10. 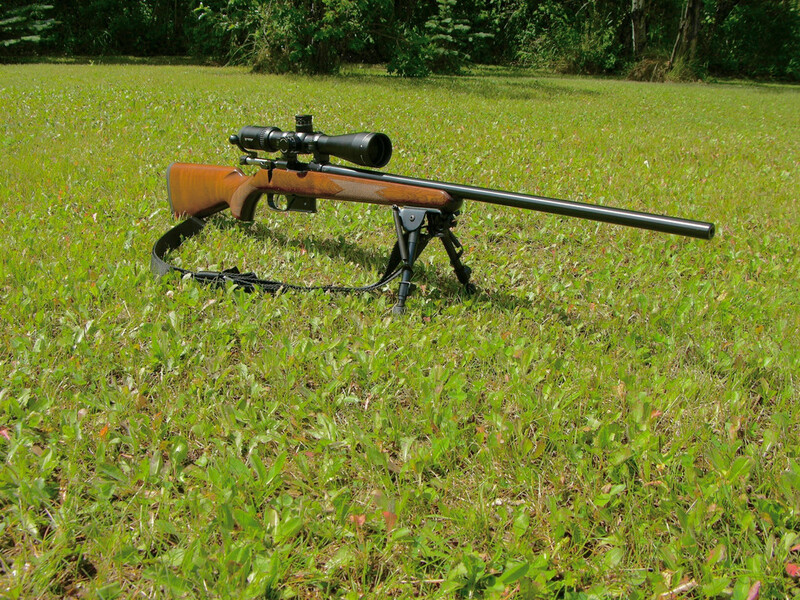 For what my stated purpose is...an up to 300yd varmint gun, it fits the bill very well. 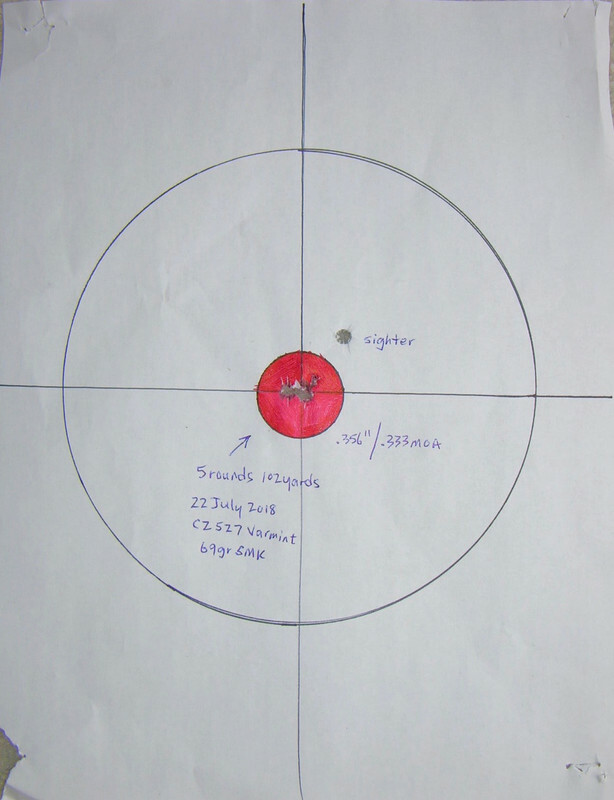 I was rechecking my zero today when I shot this group (after the sighter). Pretty good for a factory rifle.